This Pimento Cheese recipe is a perfect game day recipe for any crowd. Enjoy this free downloadable Game Day cookbook now. The tartness of the yogurt adds to the sharpness of the cheese and makes for a perfect Pimento Cheese. 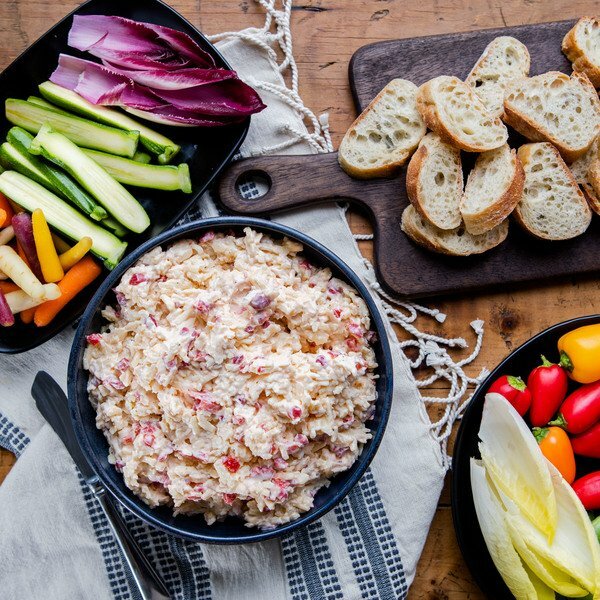 When it comes to fun summer recipes, this pimento cheese recipe is definitely one that's worth trying out. 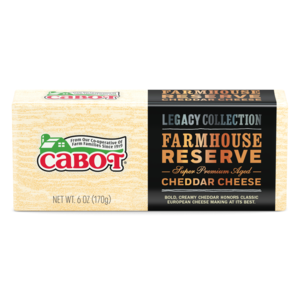 It features a wonderful blend of Cabot Extra Sharp Cheddar, Cabot Seriously Sharp Cheddar, Cabot Farmhouse Reserve Cheddar (or Cabot Alpine Cheddar) and Cabot Lowfat Plain Greek Yogurt—the end result is utterly flavorful, and it's a must-have for any backyard barbecue. There's a reason why this dish is so popular in the South. Aside from barbecues, this is a cool recipe to try out nearly anytime of the year—just make sure to add plenty of cheddar though! 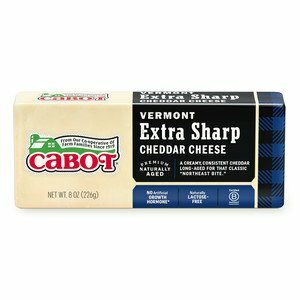 After you give it a try, make sure to rate and review it—here at Cabot, we take pride in our cheeses and our recipes, and we only want to provide the best to our customers. Pimento cheese is absolutely jam-packed with hearty flavor. This recipe calls for 16 ounces of some of our most popular cheddar cheeses (all grated) along with our 2 percent Greek yogurt—the yogurt is key, as it adds a rich, tangy flavor that's pretty addictive. When preparing this dish, keep it mind that this recipe makes roughly four cups. Also, this dish features mayonnaise, along with chopped pimentos, freshly ground black pepper, salt and sugar. The cheese can be served on its own, or as a spread for bread or crackers, and it's a great dish to bring over for cookouts too. 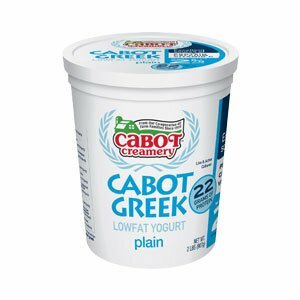 Cabot is a cooperative of 800 dairy farm families that have worked together for generations, and the resulting dairy products are widely considered to be some of the best in the nation. 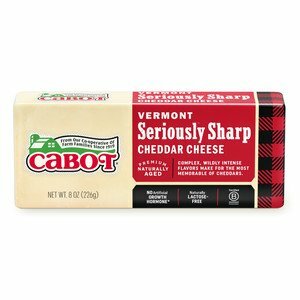 Our award-winning cheeses are made with pride and care, and we want our recipes to reflect our dedication to excellence. After trying pimento cheese recipe, please make sure to rate and review it. Also, please make sure to share this recipe on social media—we're excited to see what other foodies have to say about this wonderful dish! MIX all ingredients in a large bowl until blended. To see more Farmers' Legacy Recipes click here. Extra sharp cheddar block grated with piqillo peppers for pimento. Heated in the microwave and served with blue corn tortilla chips. It is fabulous! The yogurt adds a great tang. I'm thrilled! I used to be able to buy pimento cheese in the local store but haven't seen it in years. This recipe is the best I've ever had. THANK YOU for giving me a taste from the past!!!!! WOW! Everyone really loved this, one of my go to recipes for watching Football on Sundays. I used Alpine cheddar as one of my selections and it was awesome.